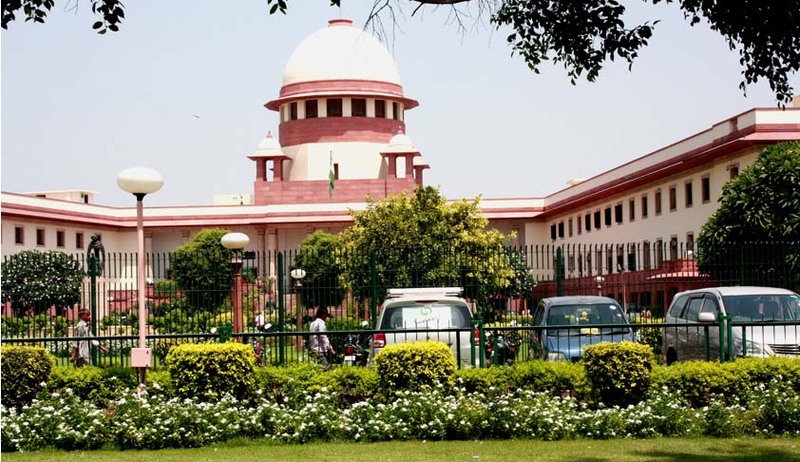 Supreme Court yesterday set aside its own judgment in Bhaskar Lal Sharma and others Vs. Monica in which Justice Sinha held that “allegations that appellant No.2 kicked the respondent with her leg and told her that her mother to be a liar may make out some other offence but not the one punishable under Section 498A”. The respondent Monica, had filed a complaint under Sections498A, 406 read with Section 34 of the Indian Penal Code against the appellants and one Vikas Sharma (respondent No.2). The appellants are the father and mother-in-law of the respondent-Monica whereas the subsequently impleaded respondent No.2 is her husband. On 21.3.2005 the learned Metropolitan Magistrate, Patiala House, New Delhi took cognizance of the offences alleged by the respondent in the complaint petition which was numbered as 287/1A and issued summons to the appellants and the second respondent herein. Aggrieved, the appellants moved the High Court of Delhi under Section 482 of the Code of Criminal Procedure Code, 1973 for quashing the complaint. By judgment and order dated 21.1.2008 the High Court dismissed the application filed by the appellants. Against the said order the appellants moved the Supreme Court by means of two special leave petitions. By order dated 27.07.2009 leave was granted and the appeals registered as Criminal Appeal Nos. 1325-1326 of 2009 were disposed of by Supreme Court holding that while no offence under Section 498A of the Penal Code was made out against either of the appellants, the offence under Section 406, as alleged, was prima facie made out against the appellant No. 2 alone. In the order dated 14.03.2013 passed in the Curative Petitions it has been observed that, "As far as the question regarding making out of a case under Section 498A I.P.C. is concerned, it has to be kept in mind that the appeals were against the initial order summoning the accused to stand trial. Accordingly, it was too early a stage, in our view, to take a stand as to whether any of the allegations had been established or not." Justice Ranjan Gagoi, who wrote the judgment said “'Cruelty' as defined in the Explanation to Section 498Aof the Penal Code has a twofold meaning. The contentions of Shri Sharan do not deal with the Explanation (a) and is exclusively confined to the meaning dealt with by Explanation (b). Under Explanation (a) conduct which is likely to cause injury or danger to life, limb or health (mental or physical) would come within the meaning of the expression "cruelty". While instances of physical torture would be plainly evident from the pleadings, conduct which has caused or is likely to cause mental injury would be far more subtle. Having given our anxious consideration to the averments made in the complaint petition, we are of the view that the statements made in the relevant paragraphs of the complaint can be understood as containing allegations of mental cruelty to the complainant. The complaint, therefore, cannot be rejected at the threshold. “The facts, as alleged, therefore will have to be proved which only be done in the course of a regular trial. It is wholly unnecessary for us to embark upon a discourse as regards the scope and ambit of the Court's power to quash a criminal proceeding. Appreciation, even in a summary manner, of the averments made in a complaint petition or FIR would not be permissible at the stage of quashing and the facts stated will have to be accepted as they appear on the very face of it. This is the core test that has to be applied before summoning the accused. Once the aforesaid stage is overcome, the facts alleged have to be proved by the complainant/prosecution on the basis of legal evidence in order to establish the penal liability of the person charged with the offence”. A three Judge Bench of the Supreme Court led by CJI Sathasivam, Ranjan Gogoi.J and Shiva Kirti Singh came to the conclusion that the complaint petition registered as Complaint No. 287/1A (Monica Vs. Vikas Sharma and Others) presently pending in the Court of Metropolitan Magistrate, Patiala House, New Delhi cannot be interdicted but has to be finally concluded by the learned Trial Court. The Court dismissed the appeals filed by the accused and in view of the time that has elapsed, directed that the trial be completed expeditiously and in any case within a period of one year from the date of receipt of a copy of this order by the learned Trial Court.